It’s how we handle the little moments which prepare us for the big ones. And it’s the littlemoments which tend to shape us more profoundly – for better or for worse. Being shaped for better by life’s moments means that we become more confident about dealing with life’s difficulties. It means we become more resilient to life’s setbacks. It means that we are less wasteful and therefore able to build more reserves in life consisting of finances, strength, time, and knowledge. Conversely, when life’s moments are allowed to shape us into someone worse, we become prickly, withdrawn, hard to get along with, discontent, and always in need. Perhaps if we could only recognise these little moments for what they are, we might respond to them quite differently. 1. Say “Yes” more often. Life’s most profound moments occur when it presents us with opportunities. How many times have you been presented with an opportunity to do something you have never done before and you nearly said, “No.”? Perhaps, even reluctantly, you said “Yes” and then afterwards you were sooo glad that you did! This might have been to go on a journey somewhere, see a movie with friends, try a new cafe or restaurant. These kind of opportunity moments shape us either into open people, or closed people. Once I was asked if I would go to a professional development seminar in the place of someone who had booked in but could no longer go. I didn’t want to. I was more than reluctant. But I said “Yes.” That one day professional development seminar changed my life. I had another moment about 30 years ago when an academic mentor of mine, Richard Winter, asked me if I would like to get involved in a student group at Deakin University in Geelong, called, Overseas Christian Fellowship. Despite my reluctance, I said “Yes” and the ultimate result of that “Yes” was that I met a young lady by the name of Kim (who became my wife). Sometimes God presents us with opportunities by showing us a need. By saying “Yes” with our willingness to meet that need, we are being shaped into better, bigger, stronger, more admirable people. ¶ “ ‘I know your works. Behold, I have set before you an open door, which no one is able to shut. I know that you have but little power, and yet you have kept my word and have not denied my name. Dr. Henry Cloud says that if more singles said “Yes” they have a greater chance of finding, as the title of his book indicates, a date worth keeping. Some moments need a “Yes” in order to clear your path to your destiny. Committees get a lot of bad press. I can understand why maverick (highly individual) leaders find it difficult to work with committees. Committees require working with people who have different ideas and viewpoints. They require listening, negotiating, disagreeing, compromising, and patience. This can be difficult for any strong-minded, gifted, driven, inflexible leader to work with. But, if a leader can learn to cooperate with others more often they will be all the richer for it. Of course, this growth principle of cooperation doesn’t just apply to leaders, it applies in the workplace, the sporting field, the classroom, and the home. ¶ Finally, brothers, rejoice. Aim for restoration, comfort one another, agree with one another, live in peace; and the God of love and peace will be with you. 3. Give away what you want. It’s one of life’s counter-intuitives. The generous always seem to have enough and the stingy never do. The best way to keep somethings is with an open-hand. Most of us want more affirmation and encouragement. There are moments in life when others are looking to you for an affirming look or word. Don’t miss these moments. People who take these moments and share an encouragement with others tend to grow in their own self-confidence and emotional security. If you want more encouragement and affirmation look for those moments throughout your day when God brings those who need it more across your path. 4. Start throwing a rock rather than pebbles into the puddle. There will come a moment when you are already busy but you will be presented with a need which you have the ability to meet. Not everyone is offered such a moment. Your immediate response may be to reject this request. Before you do, consider whether you are being asked to throw another pebble into the pond, or just a slightly bigger rock. That is, before thinking you have to spend just as much time again on this new responsibility, consider whether this is extra responsibility might actually fit your life’s mission. If it does, then just maybe, all you have to do is throw a bigger rock into the puddle rather than picking up more pebbles. That is, it might be more efficient – when it comes to making a bigger splash in the puddle – to throw a rock rather than some pebbles. To put it another way, when we know what our lives should focus on we may find that what looks to others as if we are doing many things, is actually just one thing which makes a splash the equivalent of many pebbles landing in the pond. Dr. F.W. 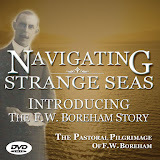 Boreham found in the early days of his pastoral ministry that his preaching was too dry dry, too theoretical, too disconnected from his hearers. He discovered that if he wrote his sermon out word-for-word before he preached it, he was better prepared in the pulpit because he had already selected the precise word to convey his message. He would preach the message without these notes, then go back and re-write those parts of it which needed adjusting. He then submitted these notes as an article to newspapers (both Christian and secular). Once a collection of these articles had been published he would select a group of them to be put into a book. Thus, it looked like he was throwing a pebble of sermon preparation, another pebble of preaching, another pebble of newspaper articling, and another pebble of book authoring. But in actuality, he was simply making a bigger splash with one rock rather than a handful of pebbles. Dr. Boreham was committed to reaching as many people for the Saviour as possible. His writing and preaching was his main means for accomplishing this mission. But over the years his rock got bigger as encompassed taking responsibilities as the Chairman of the Australian Baptist Foreign Missions, serving on the committee of the Victorian Baptist Union, and promoting the establishment of a Baptist Ministers and Missionaries training college. Again, these looked like he was throwing more pebbles into the puddle to make more splashes, but in reality he was throwing just one larger rock! Jesus was on a single mission and had a clear focus. He “set His face to go to Jerusalem”. This was His rock. On the way to the Cross, the culmination of His mission, he healed the sick, raised the dead, preached to thousands, and trained His disciples. ¶ When the days drew near for Him to be taken up, He set His face to go to Jerusalem…But the people did not receive Him, because His face was set toward Jerusalem. 5. See your sacrifices as investments. There will come moments when you must pay a price in life. You go from being a single to forming a relationship. This involves a price. You go from being a couple to becoming parents. This involves a price. You go from being served to serving. This involves a price. In these moments you can consider that price an expense or an investment. Ask any financial advisor and they will tell you that there is a world of difference between expenses and investments! Expenses make you poorer. Investments make you richer. One of the best investments you can make is time with people. This is one of the reasons why pastors are so rich in many respects. The time invested into people seeing them helped, trained, and developed, pays huge dividends. The time you invest in others may feel like a sacrifice but it’s probably an investment. John Maxwell tells of how he grew his leadership training company by regarding sacrificing as investing. He needed another staff member, but the company didn’t have the finances to do employ someone. He decided that he needed to sacrifice his salary in order to employ their next staff member. Within a relatively short time of doing this the company was enabled to grow and take on more clients to point where it was able to pay both salaries. Dr Maxwell says that he went on to do this same kind sacrificing several more times – each time giving up his salary in order to hire a new staff member. He says, it was in these moments that both he and his company was able to grow and reap the dividend of his investment/sacrifice. Leadership calibre is not measured by how many you lead. It is at least measured by your mission effectiveness. If your mission is to be a Christlike ambassador to those around you so that they might be drawn to the Saviour, then you are a leader. All followers of Christ are leaders. Parents are leaders. Husbands are leaders. Managers are leaders. And if you want to grow as a leader you must recognise those moments when growth can occur. It seems that God is committed to helping each of us grow toward maturity and be the best influencers on others that we can. The above growth moments might be summarised in the diagram below. Perhaps this might help you to realise how significant life’s seemingly fleeting moments are and help you to recognise what most don’t. While it’s true that Christianity is best spelt – D O N E, it is best described with words which use its beautiful prefix: re. These re-words are both a powerful set of descriptions and a set of glorious reminders about what Christ has done for us. The Gospel has given the world a graphic and richer meaning to its uniquely used words: grace, love, eternal, mercy. But the Gospel is captured with re-prefixed words. We should never take for granted just how beautiful the Gospel is. For those who have failed, it is the hope of a fresh start. For those who have lost their way, it is a light, a map, and a compass, to get them back on the strait and narrow path. For those who have been broken, hurt and damaged, by a world that treats people as things, it is the Owner’s Manual description of a person of infinite value to a God who loves them infinitely. For those who have lived their life without regard to God, His Word, His ways, or His will, it is the guarantee of His forgiveness and debt cancellation. For those who feel abandoned, alone, and rejected, it is the legal document informing them that the wealthiest Person in the Universe has personally sought them out and begun legal proceedings to adopt them and make them His heir! Each of these aspects of the Father’s love revealed through His Son, Jesus The Christ, might be told with re-prefixed words. For a person to receive God’s offer of forgiveness from their sins and eternal life with Him in Paradise, they must have the Holy Spirit help them to realise their true condition of guilt and shame before God. 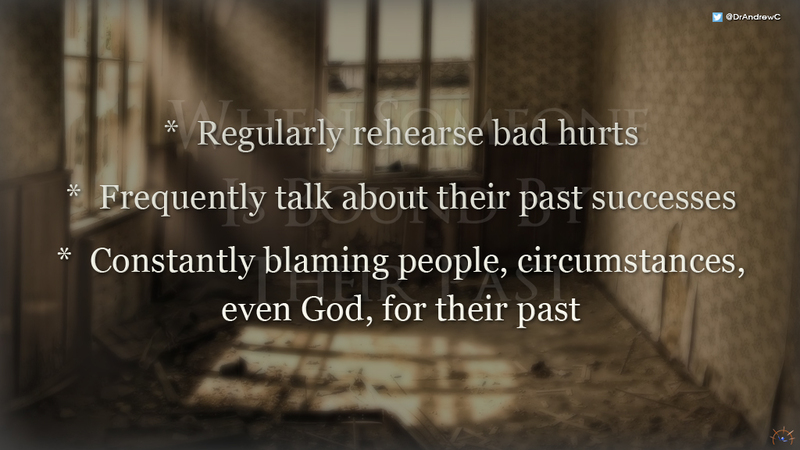 They must have the Holy Spirit enable them to repent of their sins. They must return to the Lord. In doing what the Holy Spirit empowers them to do they are regenerated (born-again). They are simultaneously reconciled to God the Father by Christ. They are also redeemed by Christ and adopted by the Father. This is what makes Christianity unique from all other ‘religions’. It offers people the hope of not only a fresh start, but the power to change, and become a new person. I am not who I was a few years ago. I will not be who I am in a few years. The Gospel is changing me. It is enabling me to become who I long to be and who Christ is wanting me to be. Because, in it I am enabled to behold Christ. And as I do, I am changed, transformed. This is why God has ordained for the Gospel to be preached each Sunday to His people so that they can behold Christ and undergo its transforming grace. It doesn’t matter what you’ve done, or what’s been to you, you can be reconciled to the Father, redeemed by Christ, and regenerated by the Holy Spirit. By beholding Christ in the Sixty-Six Books of the Gospel you are given a new start, a new beginning, a chance to start over, but more than that: you begin to become a new person. You are never “a million miles” from God. You are always just one prayer away. The Gospel reveals the truth about our standing before an infinitely holy God: enemies. In John 3:19 Jesus declared this truth by stating that without being reconciled to God, we all hate God and love the darkness (deeds of rebellion toward God). We need to be reconciled by a Mediator. Jesus Christ has reconciled those who put their trust in Him by paying our debt to God on the Cross with His own blood! In the same way we also, when we were children, were enslaved to the elementary principles of the world. But when the fullness of time had come, God sent forth his Son, born of woman, born under the law, to redeem those who were under the law, so that we might receive adoption as sons. In the days of slave markets, when family members were sold off to pay a family debt, another family member could attend the slave auction and ‘redeem’ the auctioned family member by ‘purchasing’ them to cancel the debt. This is the imagery behind the Apostle Paul’s language in Galatians 4 when he describes us as being enslaved with Christ coming to redeem us and then adopting us God’s children. Biblically, “death” is not the end. Neither is it ceasing to exist. Rather, it means separation. James tells us that the body without the spirit is dead. When a soul is separated from God because of sin, it is dead. “We who were dead in trespasses and sins have now been made alive in Christ” writes Paul to the Ephesians in chapter 2. When a dead soul is brought to faith in Christ by being reconciled by Christ when they are redeemed by Christ, they are regenerated by the Holy Spirit. Jesus told Nicodemus that this was like being born again (John 3:3 ). One of the most curious things about the greatest lover of all time, is that there is no record of him ever saying the words, I love you. In fact, it’s beyond curious. In reality, it’s not even startling: it’s amazing that He didn’t need to! There can be no doubt that Jesus loved people. Even His enemies knew Him to be a person of love for others. Dr Gary Chapman wrote a best-selling book a few years called, The 5 Love Languages. Perhaps the reason it sold so well was that we all really want to know how to love those we care about. Dr. Chapman identified 5 general ways that people like to show and receive love. He asserted that sometimes our actions are misunderstood or unappreciated because we may not have realised that someone was showing us love in a “language” because they were using a love-language we were not familiar with. Conversely, sometimes we attempt to show love to someone without appreciating that this person needed to have it expressed in a way they felt loved. For example, Dr. Chapman identified words of affirmation as some people’s primary love language. Thus, when a person whose primary love language was quality time spent the day with that person, they were surprised that the other person felt smothered and that the person spending time with them hadn’t been considerate of their dire lack of time. Learning someone’s primary love language takes time and testing. Somehow, Jesus just seemed to demonstrate love perfectly to everyone. He dispensed all of Dr Chapman’s five love language prodigiously. He served others. He gave gifts to others. He spoke words of affirmation to others. He spent quality time with others. And He appropriately used affection as He touched people. Christ also demonstrated the fruit of love to others – forgiveness and acceptance. This was seen by how spoke of and to those who despised Him. While railing against the hypocritical Scribes and Pharisees, Jesus loved them. Many of them were deeply touched by this love. One of them, Nicodemus, even sought out a private meeting with The Christ and received one of the greatest acts of love any teacher could receive when Jesus gave him what has become the most famous verse in the Bible. Another member of the Sanhedrin, Joseph of Arimathea, declared his appreciation for The Christ who had shown him such great love, by offering over his tomb for the body of Jesus to be laid there. Even though we read of Christ railing against the Scribes and Pharisees in Matthew 23, His tone, His manner and His motive, were loving. ¶ “But woe to you, scribes and Pharisees, hypocrites! For you shut the kingdom of heaven in people’s faces. For you neither enter yourselves nor allow those who would enter to go in. In laying the foundation for His Church, Christ gave just one commandment for how His followers were to treat each other: love one another! The kind of love which Christ conveyed to people was so foreign, incomprehensible, and unheard of, that when the Apostle Paul wrote some twenty years later to the licentious Corinthians about their confusion of love with sexuality and grace with unconditional forgiveness he was directed by the Holy Spirit to spell out in some detail exactly what this kind of love was. ¶ Let love be genuine. Abhor what is evil; hold fast to what is good. ¶ Bless those who persecute you; bless and do not curse them. If you want to be a better lover, take note of Dr. Chapman’s advice on speaking the right language, but particularly take note of how Christ loved, then consider Paul’s detailed description of loving imperatives, and by heeding each of these, you will be a better lover.